Jusic is a product from the PSV youth academy. No chances of playing for the first team Jusic first went to the other club of Eindhoven before moving abroad. Belgian lower division clubs Dessel Sport, Lille, Turnhout and Capellen were in his curriculum vitae before he moved to Geel. 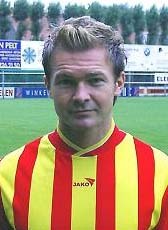 When Verbroedering Geel went bankrupt in August 2008, Jusic was available on a free transfer. He moved to Belgian fourth division club KFC Lille, one of his former clubs. Later on he moved to the amateurs of KSK Leopoldsburg.